Gov. 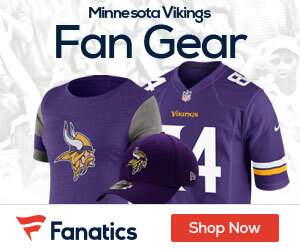 Mark Dayton said Tuesday that the Vikings should suspend running back Adrian Peterson until accusations of child abuse against him have been resolved in the criminal justice system, Patrick Condon of the Minneapolis Star-Tribune reports. Dayton’s remarks came in a statement from his office. The governor is in Washington, D.C., raising funds for his re-election campaign. 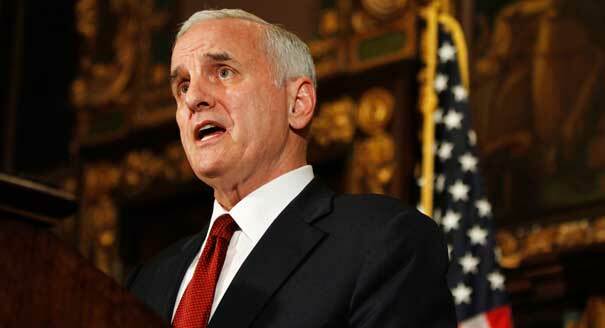 “Whipping a child to the extent of visible wounds, as has been alleged, should not be tolerated in our state,” Dayton said. Peterson has denied being a child abuser, saying he was using the same disciplinary methods that he experienced as a child. The Vikings had kept Peterson out of Sunday’s game, but announced Monday that he would be reinstated and playing next Sunday. Well I vote for Gov. Daytons liberal A$$ to be suspended as well!!!! Shut up and go do your job for once! doc11, go away with your liberal/conservative faux dichotomy.